Starting tonight, the juggernaut New York Comedy Festival assembles a lineup of big names, local gems and wild cards from NYC and beyond for six days and dozens of hilarious shows. Here's our rundown of the fest’s best gigs. It's all led up to this. Katy Perry vs. Taylor Swift. Did you really think hosts Matteo Lane and Christi Chiello wouldn't pull out the best—or worst, depending on your tastes—for this special New York Comedy Festival edition of their uproarious, absurd debate show? Previous winners Evan Williams and Marie Faustin represent the two arguably talented pop titans, with acerbic asides from DJ Molly Austin and demented drag parodies from Elizabeth James and Shuga Cain. You will be yelled at—and you will love it. After 50 episodes of their podcast Las Culturistas, plus two live shows and endless debates over Desperate Housewives, Kelly Clarkson and Shonda Rhimes, divine gay plastics Bowen Yang and Matt Rogers take their armada of culture-addled comedians to war. Watch the show’s past guests and favorites—like Dylan Marron, Tim Murray, Dave Mizzoni, Pat Regan, Alise Morales and Rae Sanni—face off in high-stakes editions of the show’s now-iconic “I Don’t Think So, Honey” rant. Is this the end of an era or a new beginning for the evil queens of gay podcastdom? The shade will be blinding. Chill out in the Public Hotel at this free outpost of dope screenings, shows and podcast recordings. Catch some of the city’s best comedy podcasts like Unhireable (Thursday, November 9, 4–5pm), Fresh Batch with Michelle Collins (Thursday, November 9, 7–8pm) and Misandry with Marcia and Rae (Saturday, November 11, 5–6pm) at intimate live recordings. After nearly a year of triumphantly satirizing mainstream Hollywood's pitiful ignorance of Black cinema, Jordan Temple's razor-sharp show nears its end. Enjoy the end of the excoriating era of the show at this special New York Comedy Festival edition, featuring Langston Kerman, Karolena Theresa, Nore Davis, Janelle James and more. 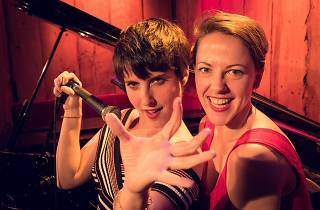 Join Quenn (Nicole Silverberg) and Dikoda (Rachel Wenitsky), the cracked, possibly psychotic hosts of the ingeniously batshit women's satire podcast Mouth Time at this live taping, which promises bad life advice from special guest experts, silent hot guys and tragic co-dependency from the hosts. If you can’t hate yourself, how in the hell are you going to hate somebody else? Comedians exorcise their shame over their teen years through scorching receipts of the hair, music and bad kissing that once defined them. Alise Morales—NYC’s loveliest roast master—welcomes Joel Kim Booster, Kat Radley, Jasmine Pierce, Josh Gondelman and Aparna Nancherla to take deep, dark looks into their high school diaries. LGBTQ comics and their friends shut down Gotham Comedy Club for a night of stellar stand-up at this long-running show. This month's edition may be one for the ages, with the no-nonsense combination of Judy Gold, Jackie Hoffman, Eddie Sarfaty and Joel Kim Booster. After 160 episodes—including legendary rips into Catwoman, Mortal Kombat and Masters of the Universe—the sublime trio of Jason Mantzoukas, June Diane Raphael and Paul Scheer continue their merciless conquest of the worst that cinema has to offer. Expect special NYC comedians to show up at this live edition. Is there a rite of passage more ripe for future comedy—and therapy—than becoming a woman in the eyes of the Jewish people? At this special second try at her own Bat Mitzvah, the straight-shooting, acerbic Greta Titelman welcomes a lineup that includes Cole Escola, Carmen Christopher, Molly Austin, Yameneika Saunders, Blair Socci, Liza Treyger and Charles Gould to throw down in her honor. Don't miss it; it'd be a shonda. Tim Dillon's Real NYC Bus Tour Meets at Columbus Circle, Thursday November 9–Saturday November 11; $45. He's one of our favorite stand-ups in NYC, and he's certainly the most deranged tour bus guide you'll ever have. Enter the mind of the delightfully morose host of the podcast Tim Dillon Is Going to Hell on this wild tour through the town, during which he'll give you the real truth on real estate scams, mean waiters and mortal enemies at every turn. The woodworker, author, comedian and man behind American hero Ron Swanson brings his Full Bush show to the Beacon. No topic is off-limits at this bawdy night of laughs held in a classy downtown joint. 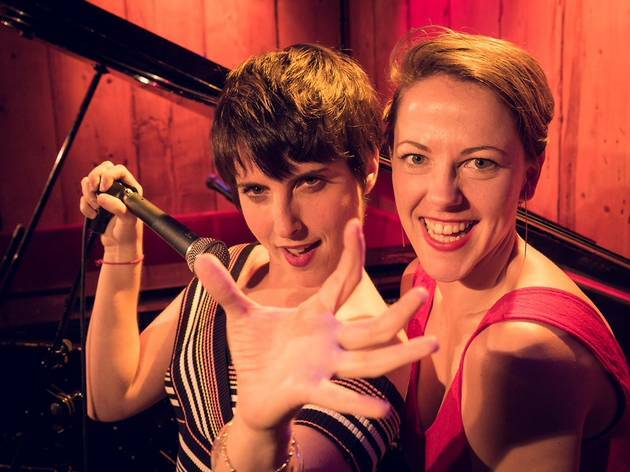 Buddies and comedic fireballs Abby Feldman and Camille Theobald and darling pianist Henry Koperski welcome a stellar lineup of stand-ups to share sets, which they then convert into totally bonkers improvised songs. The decadent—and delirium-inducing—trans/nonbinary cabaret powerhouse Peter Smith struts onto the Carolines stage like extraterrestrial royalty at this batshit monthly showcase, involving stand-up, throaty ballads, loopy storytelling and an endless array of platform boots. For this special New York Comedy Festival After Hours edition, they welcome Three Busy Debras, Ana Fabrega and special surprise guests into their wig-filled wonderland.